Earth only has so much space. Over time, the continents have merged and divided on countless occasions. Accordingly, over the past 4.5 billion years, our globe has changed pretty dramatically—and it will never stop doing so. DISCLAIMER: Continents are a tricky thing to define. Also, note that while the continents listed below don’t exist anymore as such (again, in the geographic sense), the chunks of land which combined or separated to form them are definitely still around—they’ve just shifted thanks to plate tectonics. Named after the German word for “original,” Ur may well have been Earth’s very first continent. Formed about 3 billion years BCE, it was likely a bit smaller than present-day Australia. Ur proceeded to spend hundreds of millions of years getting jostled around before eventually becoming part of Pangaea (see number 8). When Pangaea finally split, Ur was broken up and is now divided between India, Madagascar, and Australia. Most of Canada, Greenland, Western Australia, the Kalahari Desert and the U.S. were included within Kenorland’s gigantic coastlines. After staying intact for 300 million years, it split up approximately 2.4 billion years ago. Currently a part of Northern Europe, Baltica contained Scandinavia, Poland, and Northern Germany, with some Russian territory thrown in for good measure. Cut off from Earth’s other continents, it would have rested near the South Pole (or maybe the North Pole) around 500 million years ago. 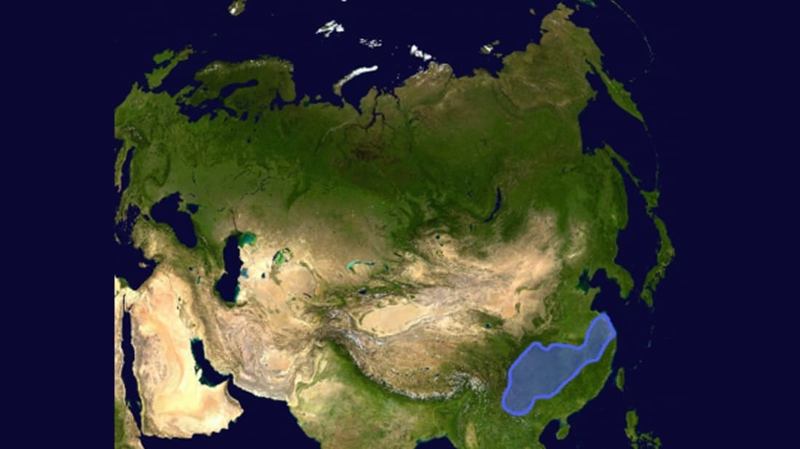 Few regions are less tropical than present-day Siberia, but around a third of this Slavic region floated about as its own, separate continent for several hundred million years—during which time it enjoyed a stint on the equator. This one really got around. 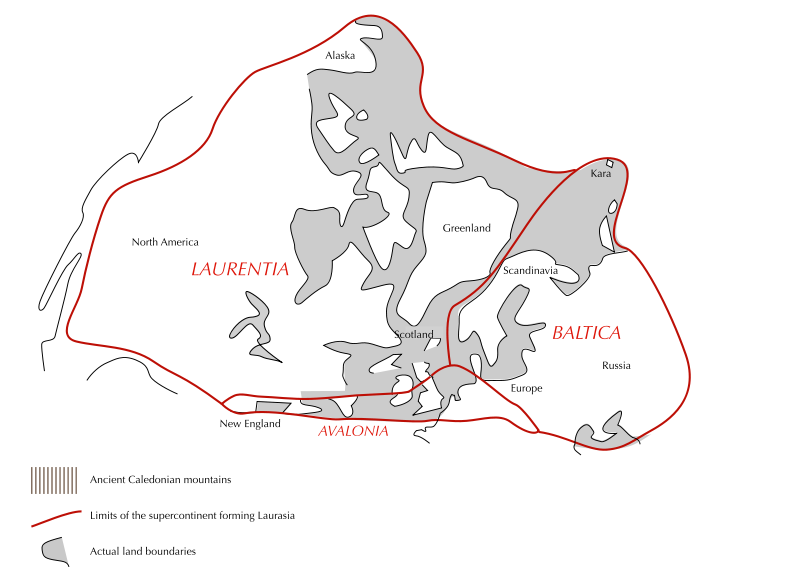 Laurentia was a prehistoric land that once contained most of present-day North America, Greenland, Scotland, and Northern Ireland. It managed to assert geographic independence many times over (e.g., after parting ways with Kenorland), but also helped form Columbia, Rodinia, and Pangea, all of which we’ll meet below. “I [chose the name] ‘Columbia’ because some of the best evidence for its existence is in the Columbian river region of western North America,” says geologist John J.W. Rogers, who announced its discovery back in 2002. Not to be confused with a certain constitutional republic, Columbia’s total landmass was approximately 50 million square kilometers (only slightly smaller than Eurasia). Its birth took place around 1.8 billion years ago. 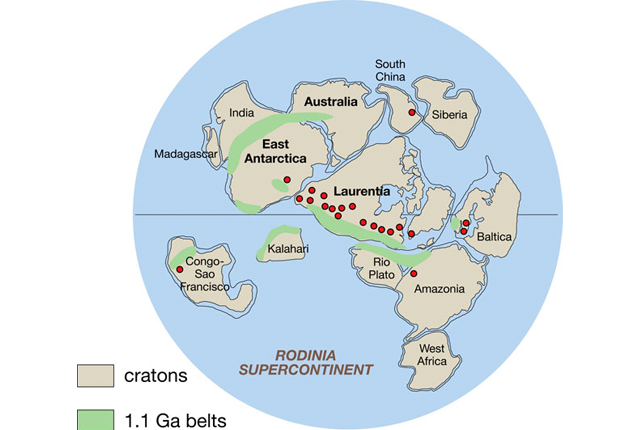 Rodinia—a name that means “homeland” in Russian—was a “supercontinent” that combined all (or most) of the Earth’s landmasses when it came together 1.2 billion years BCE. Rifts eventually started tearing Rodinia apart 750 million years ago. 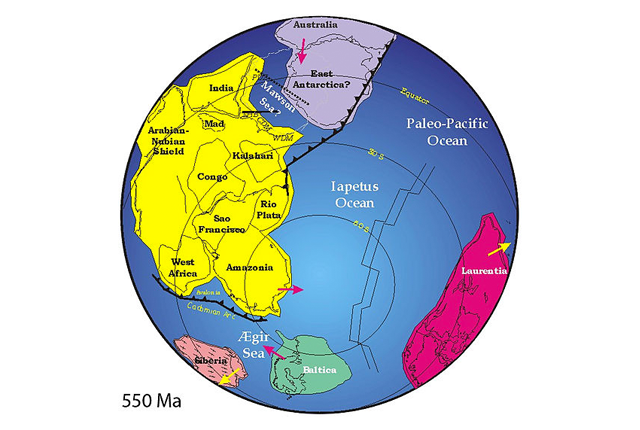 However, the blue planet was hardly finished with supercontinents. 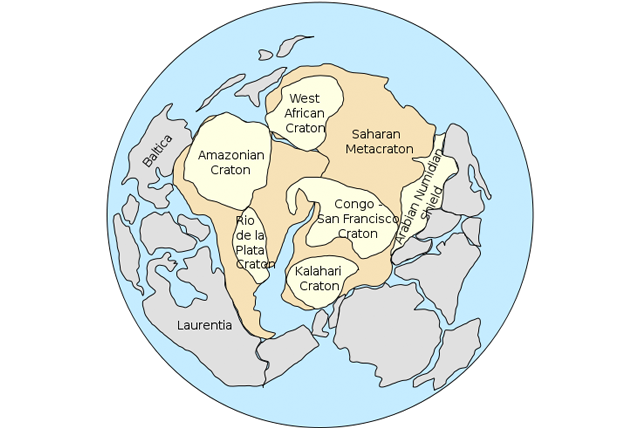 Pangaea came along 300 million years BCE and its subsequent division laid the groundwork for the modern geographical landscape. 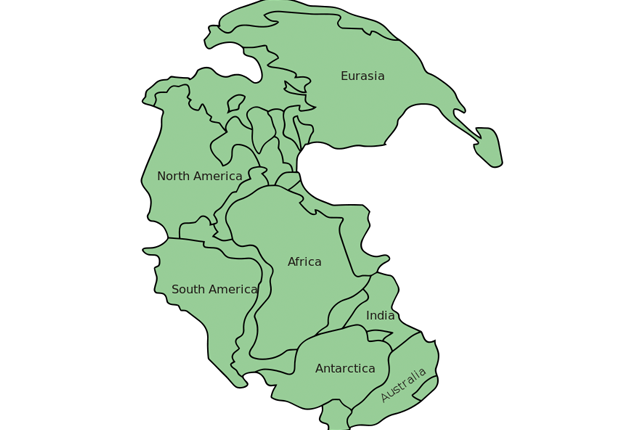 In essence, Pangaea consisted of two large sections: Laurasia to the north and Gondwana to the south. They began parting ways around 230 million years ago, and though Gondwana remained intact for a while, it, too, split up over the course of the next few geologic periods into Africa, South America, Australia, Madagascar, Antarctica, Arabia, and India. 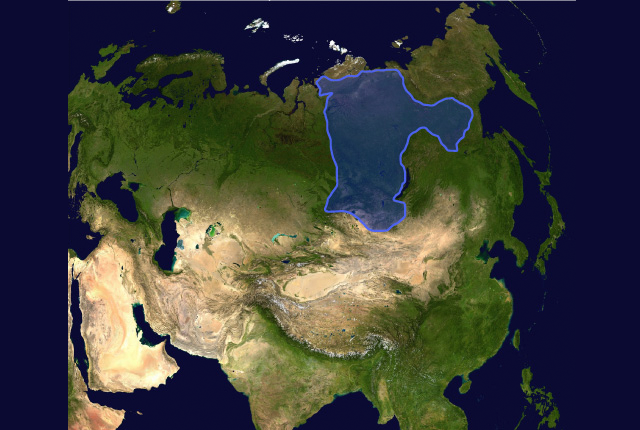 Baltica, Siberia, Laurentia, and a few other paleo-continents had combined to form Laurasia before a merger with Gondwana created Pangaea. 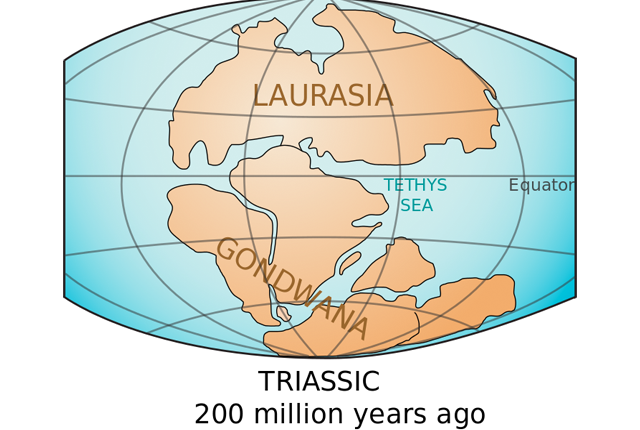 After that supercontinent divided, Laurasia went on to create North America and large chunks of Eurasia (excluding India and Arabia). For most of its history, South China existed as its own, separate entity adrift in the open ocean. North China, too, was an isolated body for quite some time. The two finally combined somewhere between 215 and 176 million years ago. 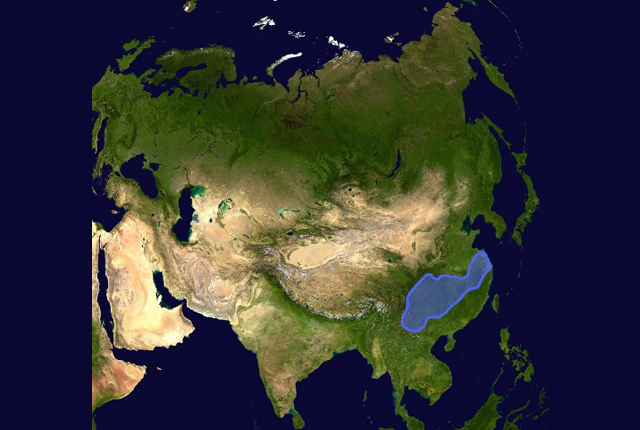 A short-lived supercontinent that was located somewhere in the southern hemisphere, Pannotia temporarily united Baltica, Siberia, Laurentia, and Gondwana after Rodinia’s dismemberment. Like Ur, traces of Atlantica are now widely-dispersed, having been found in Africa and eastern South America. Also like Ur, this was one of Earth’s earliest continents. Baltica and Laurentia became linked during the Silurian period (400 million BCE), creating Euramerica—a landmass also known as the “Old Red Sandstone Continent” due to some of the distinctive oxidized rock deposits it left behind. This body later became a central component of Laurasia. As the age of dinosaurs began climaxing 83 million years ago, a narrow seaway divided North America, whose western half was connected to China and Mongolia. This resulted in a great deal of faunal exchanges and allowed—among other things—Tyrannosaurus rex’s Asian ancestors to reach such places as present-day Alberta, Montana, and South Dakota.